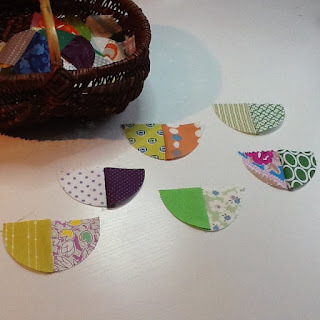 Scraptastic Tuesday - only a little scrappiness! Well still not much scrappiness here! I do hope you are being scrappier than me! I will definitely manage something in a couple of weeks for our link up on 14th July. Here we go ....a scrappy tree! 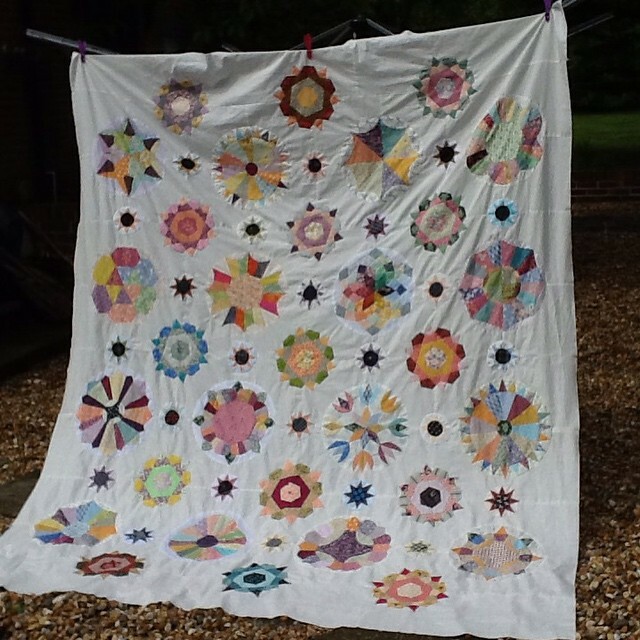 The inspiration came from this .... the travelling row quilt that we are making for our lovely Stingy Bee mate Lucy, or rather for her son! The above rows are from Lucy, Sheila and Collette. Looks like I'm well ahead of this bee obligation as I have till the end of August to finish my row. Leanne has been up to some scrappiness too - in fact I don't think she is throwing anything away now. Scraptastic Tuesday - what can I say? 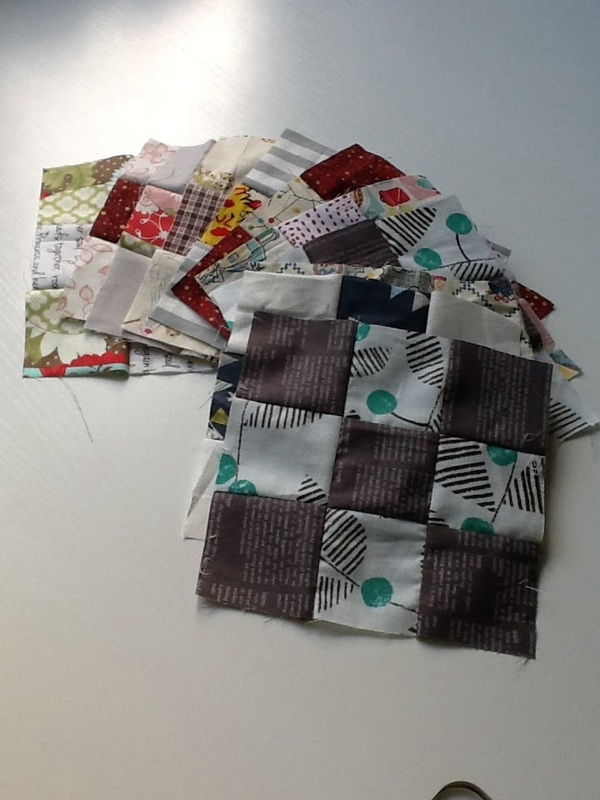 I don't believe it - I haven't been working with scraps recently! I do apologise - normal service will resume by next week I trust! .....so now I'm working on making a few new ones. 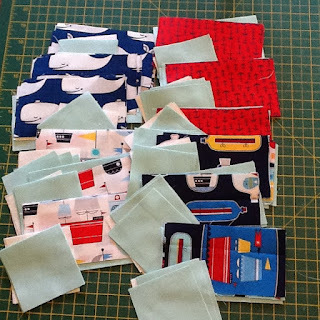 And more recently by @simplysolids to make a baby quilt - all my blocks have been cut out from the fun nautical prints of Message in a Bottle by Suzy Ultman for Robert Kaufman....those whales with hats on are too funny! 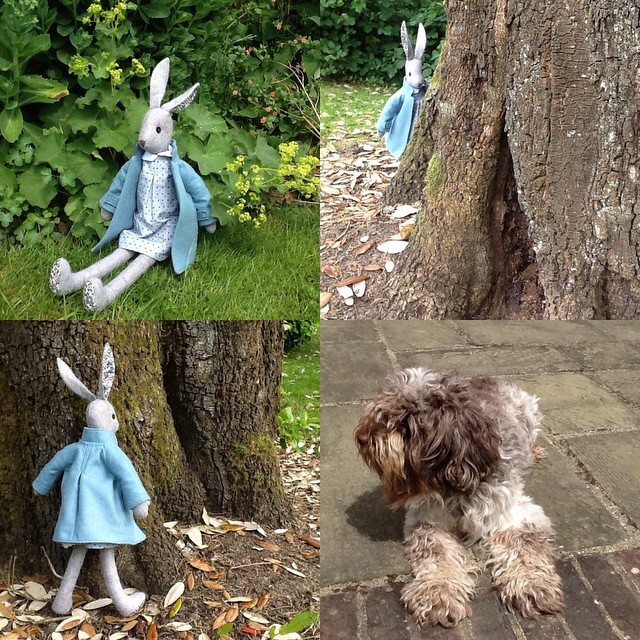 and with kits purchased....I succumbed to the cuteness of Luna Lapin designed and kitted up by Cool Crafting. But I have to say it has been a lot of fun! I have just been trying to finish off other stuff first. Scraptastic Tuesday - June Winners! I am a bit late in letting you know who the winners are for this month. My apologies but if you are desperate just scroll down! Of course you may already know from skipping over to Leanne's blog. I have been working on my vintage circles quilt - it might take a while yet to finish. 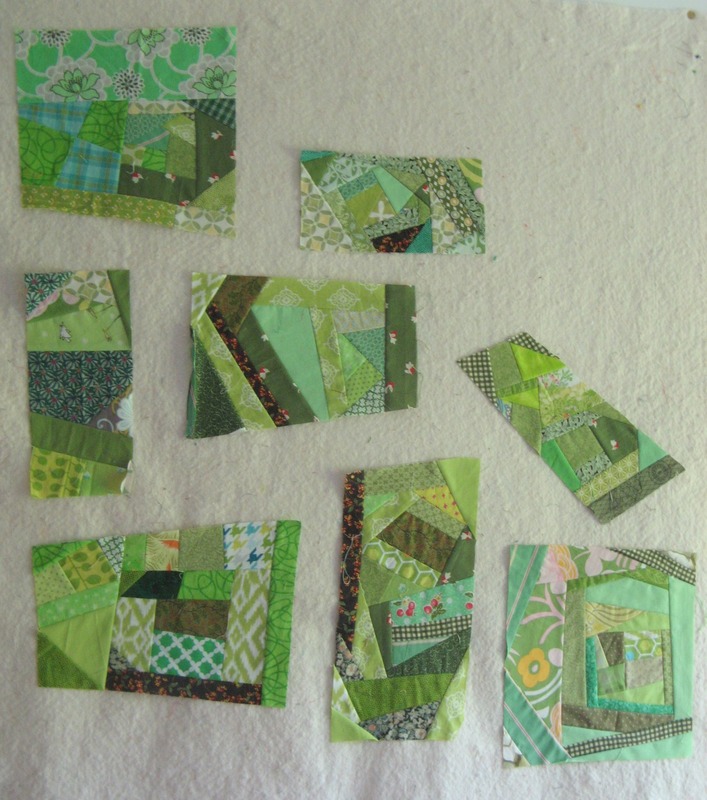 As an antidote, I plunged into my green scrap box recently, and had fun making these scrappy blocks. I know several of you have done similar things and I'm so glad I have at last got round to it. I am thinking of 'sashing' it with a solid but am not sure which one yet. It is quite scrappy too! I was trying to suggest birch trees with their stripey white bark! Not beautifully displayed with my masking tape but all I have for now! 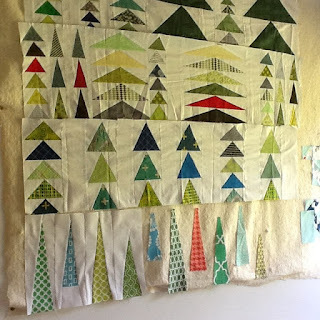 Please join Leanne and I on the second Tuesday of July for the next Scraptastic Tuesday link up (July 14, 2015). 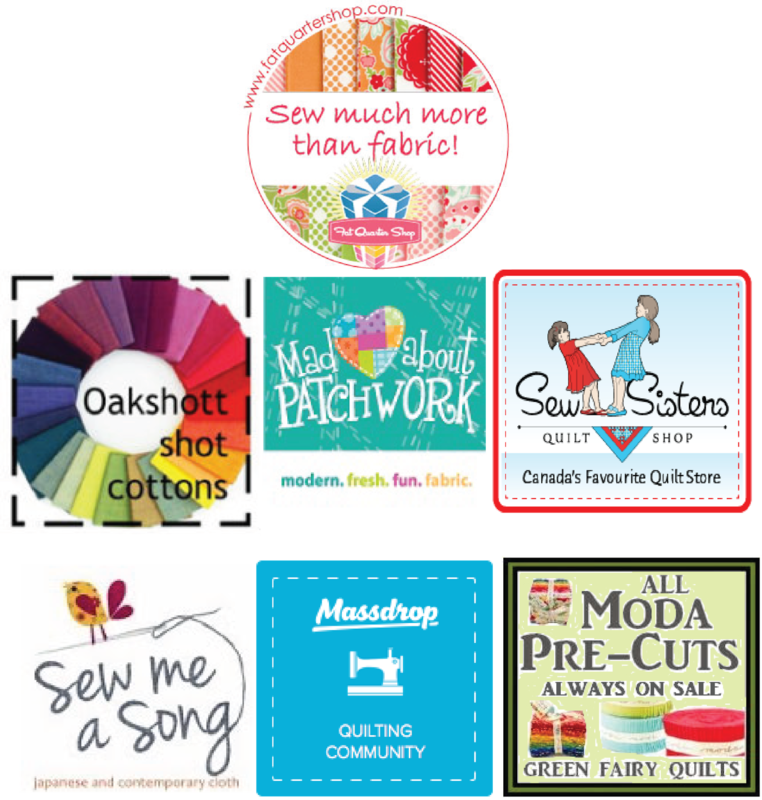 In the meantime feel free to use the hashtag #scraptastictuesday and/or our button anytime you are sharing your scrappy projects. 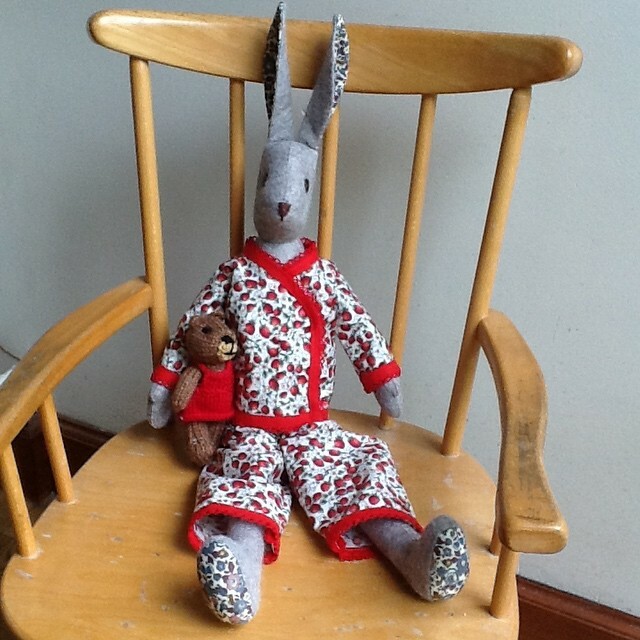 I have been working on lots of things but not so much of a scrappy nature! It has been the turn of a UFO, of a more complex nature. It looks sort of scrappy because of all the different fabrics used but I've been working mainly from vintage looking stash. 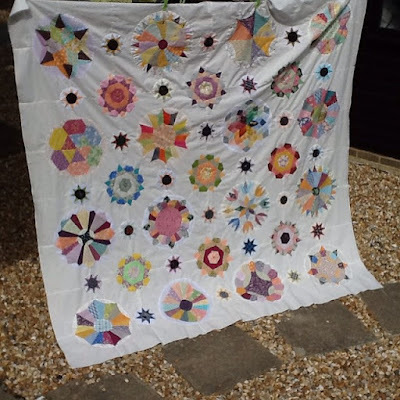 My large circle blocks are taken from vintage books by Jan Halgrimson, which are out of print now. I love the old blocks she has found and given the briefest of instructions to, not much more that a template really. 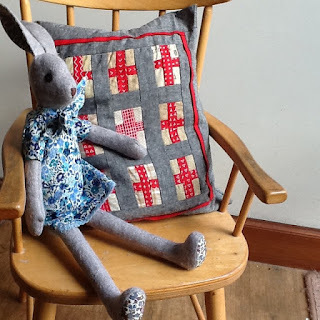 She is a great lover of scrappy quilts too. 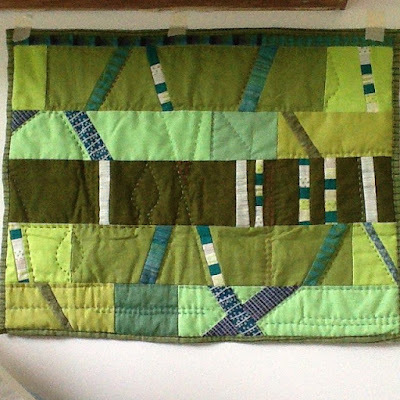 This quilt actually combines two projects - the big circles and an older EPP project. 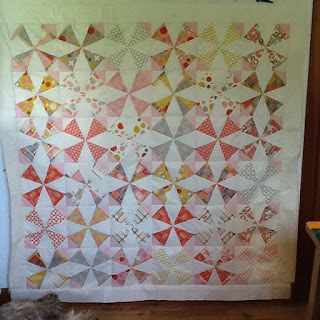 I don't really enjoy EPP that much so I was never going to finish a quilt full of these lovely Rosestar blocks - sorry Clare but I love how they fit into this project. The littlest ones are from Jen Kingwell's Georgetown on my Mind pattern. All have been appliqued down by hand and there has been quite a bit of hand piecing too. 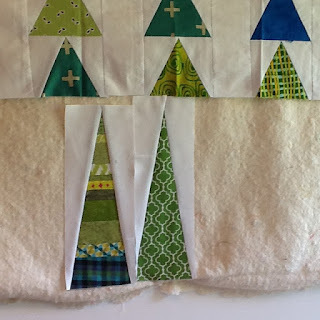 As an antidote to this complexity, and because my scrap bins are still overflowing, I just had to start a new project that is simple and involves mindless stitching. Do you like to work on different levels too!? Nine patches - is there anything simpler? I have started delving into a mainly neutrals scrap bin ....time to get more colour I think. All 2 1/2" squares, all nice and easy! 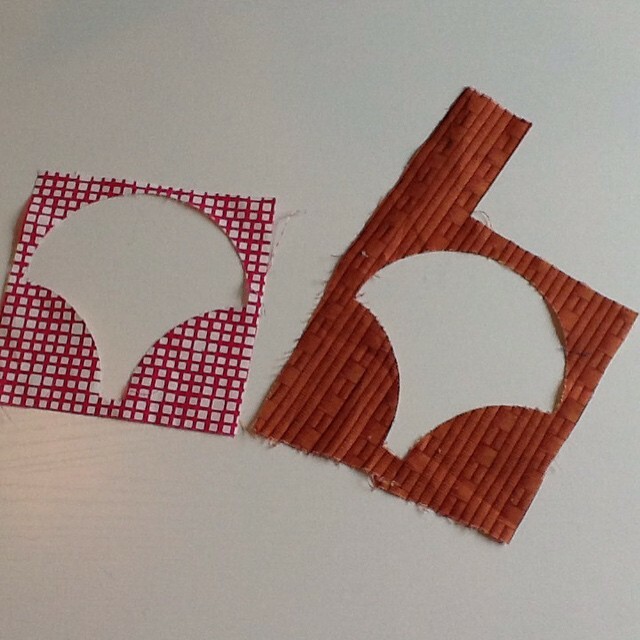 Not sure if these will just be nine patches or the centre of something more complicated!? If you have trouble linking up let me or Leanne know and we will get you sorted. I think Leanne has been working with some Liberty (lucky thing) - you can catch her here. I'm sorry my husband had the day off yesterday and I keep thinking it must be Monday! I have been scrapping today in between acting as a taxi service. I've had a bit of a tidy up in my sewing room and came across some leftovers from cutting my clamshells. 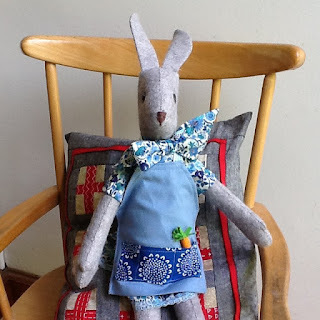 One of the things that put me off buying a Sizzix machine for so long was the thought of wasted fabric. Cutting out my clamshells left me with this shape. Not sure whether to leave them as twins or quartets!? Baskets, birds, butterflies, flowers and abacus or Bring Me Flowers blocks! Please remember to link up next Tuesday 9th June to #scraptastictuesday. You can link up either here or on Leanne's blog and the link is open for a week. 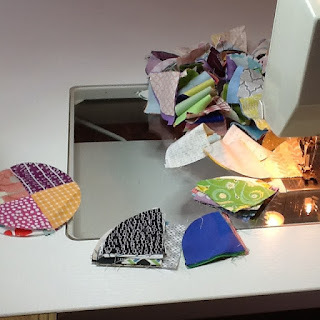 You can link once with a project either in progress or completed or your thoughts on how to tame your scrap mountain - we are looking for inspiration to keep using our scraps up. You can link with a blog post, an instagram photo or a Flickr photo and your link is your entry into the random draw for great sponsored prizes. I'm looking forward to seeing what you have been up to. Now what has Leanne been up to? 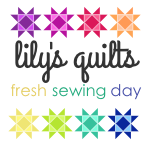 I have lost the habit of linking up to Lynne's Fresh Sewing Day but I think this month I have to and this is why! 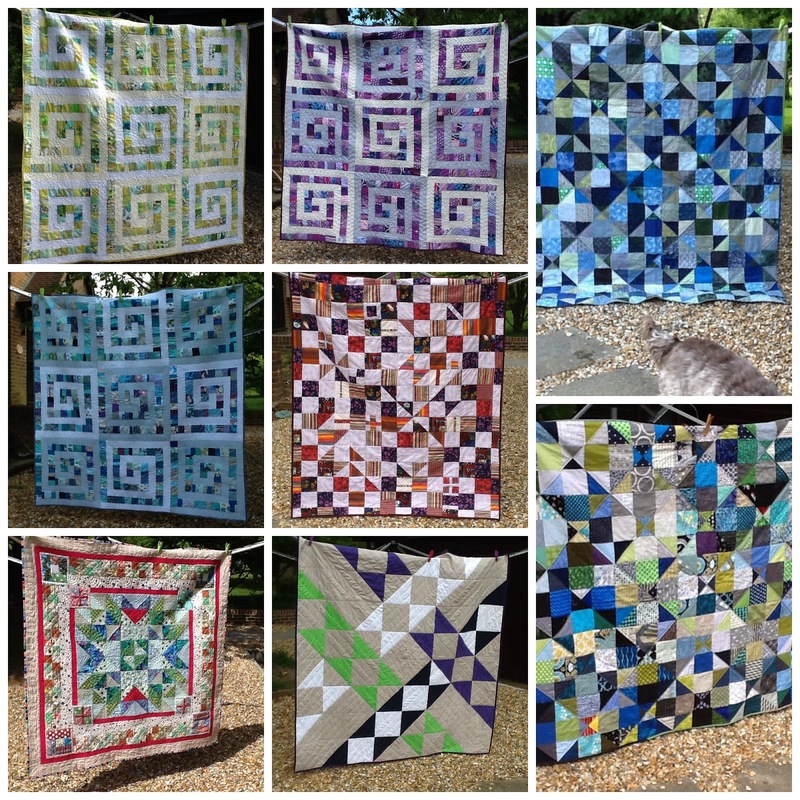 I finished eight quilts for the fabulous charity Siblings Together this month. Yes EIGHT! But I did have lots of help! The swirly quilts were made with help from Trudi, Victoria and Jo. 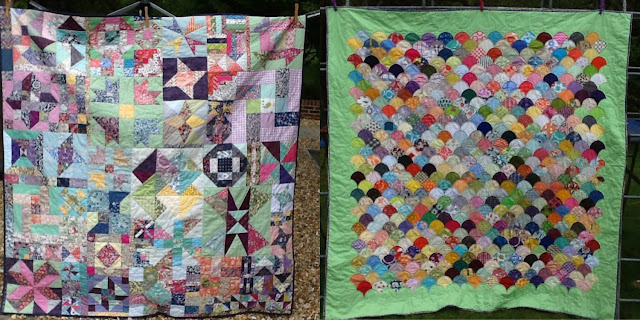 I just quilted the two on the right which were put together by Mary and friends. Fabric and blocks for the remaining three came from Nick (middle one), Jane (medallion) and Simply Solids (solids quilt). I designed them all except for the two on the right. And I had fabulous fun doing it all! I'm looking forward to dropping these off at the Siblings Together office in Southwark, London. ....which I started last year. 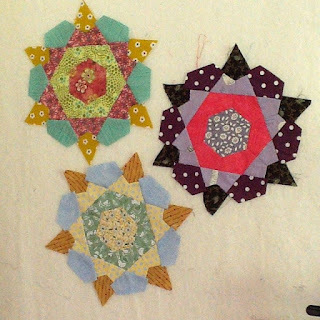 The left one is My Liberty Quilt, made as part of Scraptastic Tuesday, a linkup, which I co-host with Leanne, on the second Tuesday of the month - you can link any scrappy project, at whatever stage, but only one! I machine pieced and handquilted it! The one on the right is hand pieced and hand quilted! Ok the borders and the binding were machine stitched but everything else is done by hand! 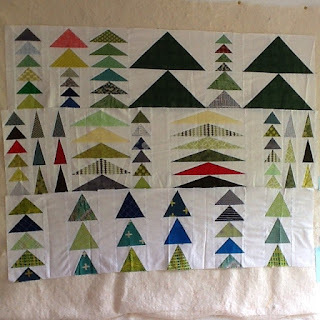 Bit of a record finishing 10 quilts in one month! Don't think I will ever top that!